Size o this luikower: 348 × 600 pixels. Ither resolutions: 139 × 240 pixels | 458 × 789 pixels. 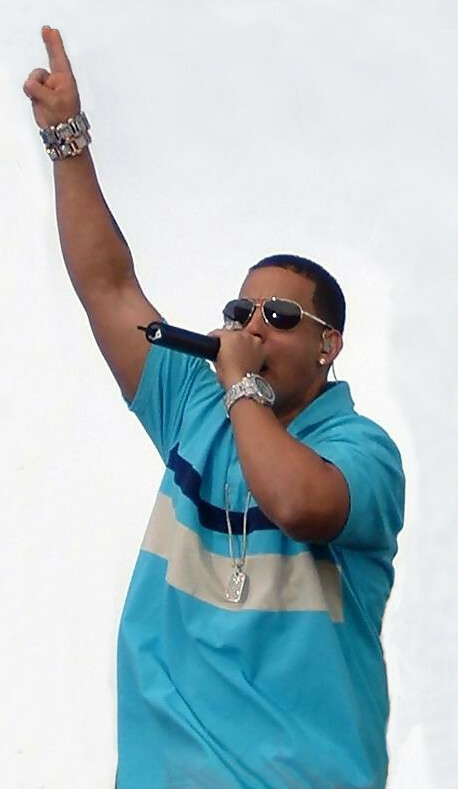 English: Daddy Yankee performing in Panama City, Florida, United States during Spring Break 2006. Español: Daddy Yankee presentándose en Panama City, Florida, Estados Unidos durante el Spring Break 2006. Soorce Crop of en:Image:Spring break O6 5 (12).JPG. Originally from en.wikipedia; description page is/was here. The original uncropped image is among the image revisions here. Author The original uploader was TIP-XL at Inglis Wikipaedia. This work has been released into the public domain by its author, TIP-XL at the Wikipaedia project. This applies worldwide. TIP-XL grants anyone the right to use this work for any purpose, without any conditions, unless such conditions are required by law. Altho this wirk is freely licensed or in the public domain, the person(s) shown micht hae richts that legally restrict certain re-uises onless thae depictit consent tae sic uisses. In thir cases, ae model release or ither evidence o consent coud protect ye fae infreengement claims. Tho no obliged tae dae sae, the uplaider micht be able tae help ye tae obtain sic eveedence. See oor general disclaimer fer addeetional information aneat content uissage. The'r nae pages airts tae this eimage.